This is a special ministry aimed at sharing Biblical truths through the mouths of puppets. Puppet ministry is seen throughout the year in various capacities. Puppets are used during our Sunday School openings, during Vacation Bible School and the Hog Wild Days Parade to name a few. 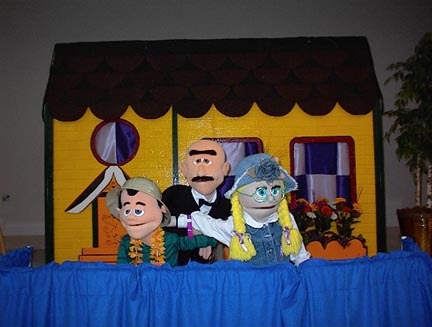 The Board of Evangelism sponsors the puppet team which performs at both church and preschool events. If you have one good arm, or have skill in making props, contact the church office.